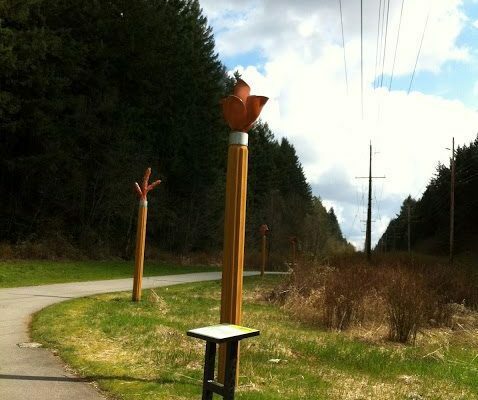 Lynn Creek – Let's Go Biking! Lynn Creek – Let's Go Biking! 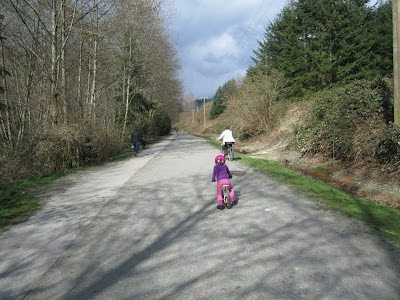 There are two short but fun routes on Lynn Creek on the North Shore. 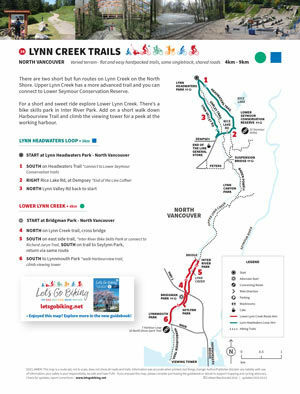 Upper Lynn Creek has a more advanced trail and you can connect to Lower Seymour Conservation Reserve. For a short and sweet ride explore Lower Lynn Creek. There’s a bike skills park in Inter River Park. Add on a short walk down Harbourview Trail and climb the viewing tower for a peek at the working harbour. 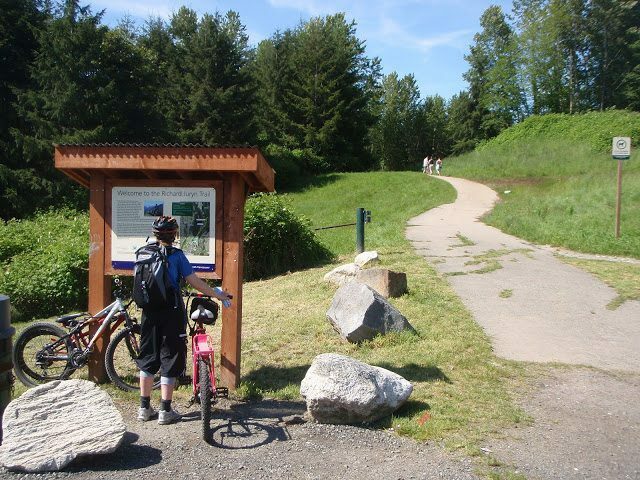 The trail is flat and easy – great for all ages and types of riders. The bike park is fun for all ages of riders.